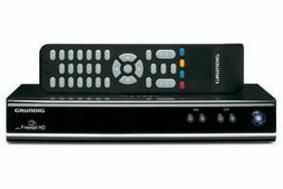 Goodmans, Grundig and Bush Freesat HD boxes get BBC iPlayer upgrade | What Hi-Fi? Most of the boxes will be upgraded via an "over-the-air" download. All customers have to do is connect the box to a broadband internet service with a minimum 1Mb speed and they'll find a link to the iPlayer service when accessing the menu via the red button on any BBC service. However, Harvard International – which manufactures the Bush, Goodmans and Grundig boxes – says a number of early models are not capable of receiving the upgrade. It's offering those customers a replacement Freesat HD set-top box for a small charge. After the over-the-air download, those boxes that need relacing will display an on-screen message asking customers to contact the Harvard support centre on 0871 230 4695, where they can register their details for a replacement box. The new boxes will be delivered to owners, for which there will be a charge of £14.99 to cover the cost of the courier service. Existing set-top boxes will need to be returned for recycling as part of the process. Customers can check if their set-top box has been upgraded by checking it has the new software, version 2.0.1, via the 'Settings' function in the menu (shortcut Menu 0, then select 'Network settings').